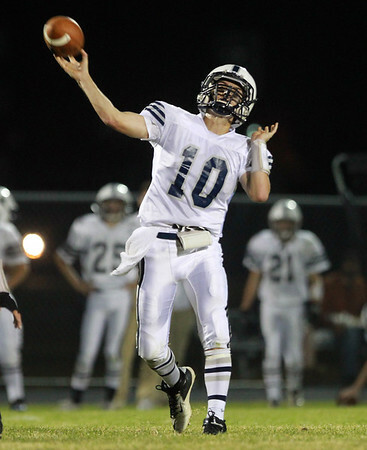 Hamilton-Wenham quarterback Thomas Rostad (10) heaves a deep pass downfield to Jimmy Baras during the first half of play against Ipswich on Friday evening. DAVID LE/Staff photo. 9/26/14.